Please leave IGN, and some info about yourself here and I or an Officer will contact you, but if you wish to contact any of us are IGNs are below thanks. to the 3 New officers Axe, Crom & Anosa. Hi, I saw the recruitment thread on GW Guru and am interested in joining but wasn't able to contact anyone through PM. My name is Melissa, I'm 19, and I currently play a monk (Fabled Monkey.) Also, I am living in Australia (moved here from America in Feb) so I hope some people are online around my time. Past Exp: Played since beta, played every campaign beta, bought every preorder and collectors bonus. Played up until may? Was 14 vanqs from god walking on my rit and got banned. I dont know why, how or what even happened. Not really happy to discuss it since it still confuses me. Goals: Level my monk up, beat Eotn and get into speed clears. Then i will get legendary skill hunter and pick a profession to farm god walking on. Reason for app: To expand my friends list since 90% of the people i knew left. Its gonna be hard to hero/hench through campaigns with 0 help. To start off my IGN is Eleman Hates Pve. (Don't let the name fool you, I like PvE, I was just big into PvP at the time.) I'm a 19, almost 20 years old college student in Ohio(USA). I've been playing since June 05', I own all 3 campaigns, and EotN. I use to GvG almost daily for 4 of my 5 years of playing with PvE on the side. I'm just looking for a guild to have fun in. I don't really have a main char, I just jump between my Monk, Ele, Sin, and Rit usually; and on occasion my Para. So if you wouldn't mind another to add to your guild I'd be more than happy to be apart of it. I'm on EST from anywhere between 11am-12am (these times vary on class schedules/ exam weeks). So hi, I was wondering if you were looking for new peeps. I came across your wiki page and then found these forums. I'm looking for a fun active guild, and y'all seem to fit the build. My ign is Sadhbh Sheridan, I've been playing gw for almost 5 years now, atm mostly I am just afking Zos Shivros, I can actually do that at work, so that is awesome. But I am looking to have fun, and do some of the high end missions at least once for HoM, and who knows, maybe help out a little if I can. Oh, I live in Massachusetts, USA. My favorite color is blue, and I am still addicted to Buffy the Vampire Slayer after all these years. really? that easy? okies, that works with me. I'll try to find an officer to pm, thank yous. Hi my IGN is Xeyko Maximus. Im from Canada GMT-8. Im 23 yrs old. Ive played games for about 10yrs - Been playing Tibia(8yrs) and recently retired from Age of Conan(3yrs). Saw Guild wars 2 was coming and looks like its gonna be the game to play. I have been playing Guild Wars for about 1 1/2 months and own all the campaigns and eotn. Just finished Prophecies and got my prestige charr armor. Wokring into Factions now. 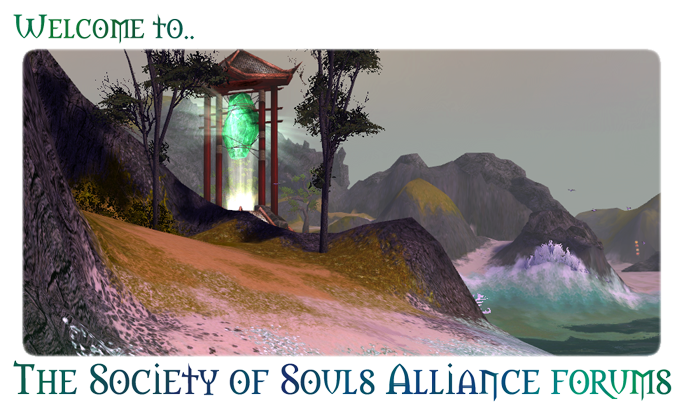 Basically looking for a guild to meet people, have fun, learn the game, and get rdy for GW2. My goal is to finish all campaigns and start wokring on my HoM. Subject: Re: Recruitment into Argh!